Are you passionate about wildlife filmmaking? 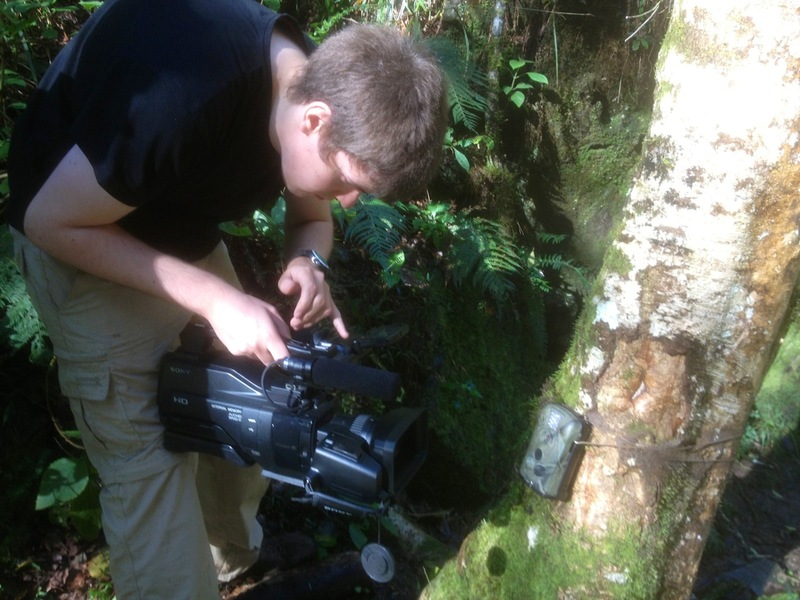 Would you like to learn how to become an independent wildlife filmmaker? If the answer to these questions is YES then our 3D Wildlife Film School is for you! Being the first 3D Wildlife Film School in the world we will not only teach you everything about wildlife filmmaking, we will also give you a one in a lifetime opportunity to make your first short wildlife documentary in 3D. 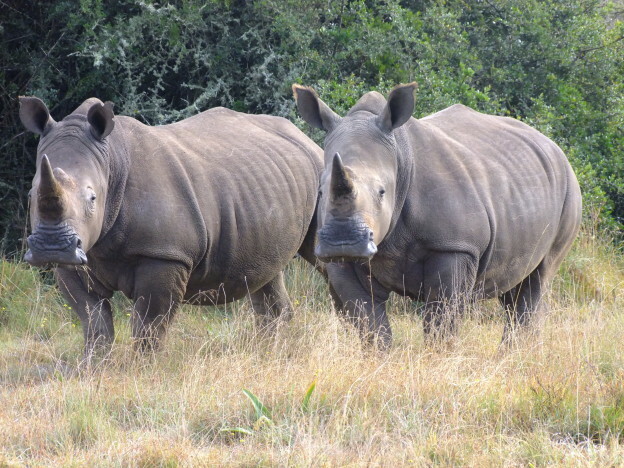 Based in the heart of the Tsitsikamma forest on the Garden Route of South Africa, we offer a 30 days course about Pre-Production, Production and Post-Production lectured by professional wildlife filmmakers who have a passion for wildlife and teaching. 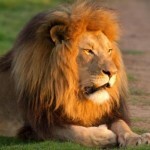 Neighbouring numerous wildlife sanctuaries we give you the unique opportunity to produce, film and edit your own short film about animals such as elephants, lions, leopards, cheetahs, hyenas, wild dogs, caracals, servals, numerous species of monkeys and birds to name a few. If you wish to make your first step into the very rewarding wildlife filmmaking industry and/or you have an interest in learning the ropes about 3D camera equipment and 3D video editing, Beyond Borders Film School is the best choice you can make. – Orientation – We will take you onto all the different possible locations for your production to give you an overview of what can be done and where it can be done. 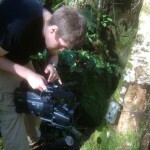 – Introduction to our 2D camera-trap. Each student during the course of the month will have an opportunity to set up our camera trap for a few days wherever he/she wants in our 16 hectares forest. You may be lucky and get some great footage and photographs of our local wildlife: bush pigs, duikers, bushbucks, vervet monkeys, baboons, reptiles….and who knows? Lectures take place either inside a classroom or outside in our beautiful “boma” depending on the weather. Lectures are from 09:00 AM to 05:00 PM with a one-hour lunch break but this is flexible depending on the number of students and the topics they chose for their documentary. It’s now time to go out and have fun! This is your opportunity to get all the footage you need in order to make your documentary real! We will provide you with a 2D/3D camera, tripod and other necessary accessories needed for your production. You will be responsible for the maintenance of the equipment. 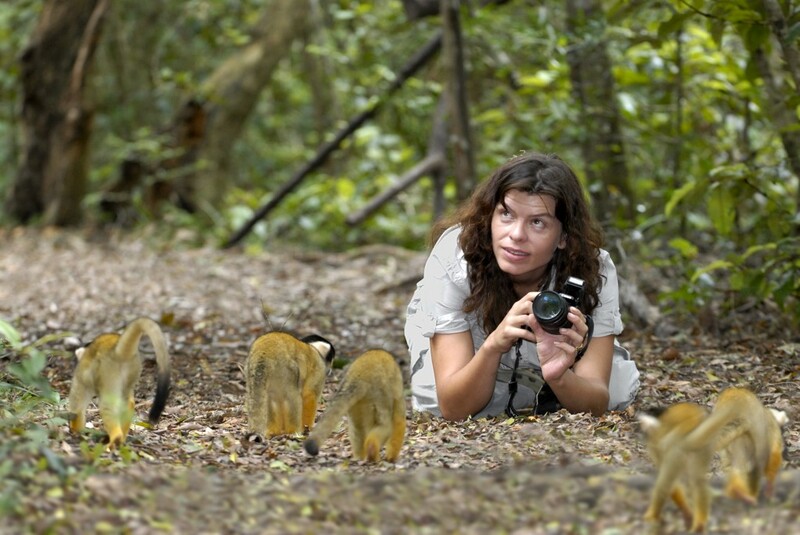 A highly experienced wildlife filmmaker and a guide, depending on the topic you chose, will accompany you. In a walking distance we have one of the biggest monkey sanctuary in the world. With 10 primates species of monkeys from all over the world (Africa and Madagascar, Asia and South America) Monkey Land is simply the perfect place for any student wanting to make a little 3D or 2D production about a certain species of monkeys or about the story of a particular individual monkey or again about the whole place in general. 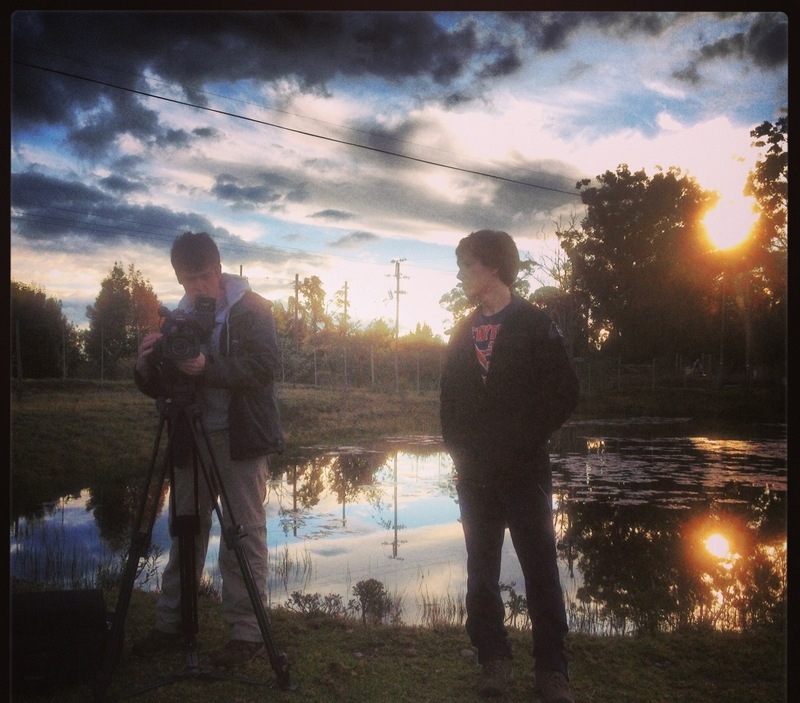 Beyond Borders Film School will help you on site with more details. In a walking distance we also have the largest free flight bird sanctuary in the world. Birds of Eden Sanctuary offers a 2.5km wooden boardwalk over a gorge of indigenous forest. With over 250 different species of birds from all over the world, this is your life time opportunity to make a world-class 3D or 2D short documentary about a bird species or about the story of a particular individual bird or again about the entire place in general. 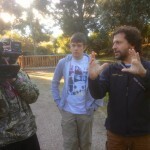 Beyond Borders Film School will help you on site with more details. Situated 10 minutes away by car, Elephant Sanctuary also offers a multitude of little stories suitable for your short production. The sanctuary provides a safe haven for five African elephants and offers a unique platform for guest education and interaction. You can get an opportunity to touch, feed and even walk trunk-in-hand with these magnificent animals. Learn about this sanctuary, its vision and the story behind it, where each elephant come from and why are they here, the story behind them and the special relationship between each elephant and his trainer…The list of topics within the Elephant Sanctuary is simply endless! The centre offers a unique wildcat experience with cheetahs, leopard, African wild cats, servals and caracals. They also have a population of South African national birds, the Blue Crane and some Marabou Storks and meerkats. Once again these educational tours offer a great opportunity for you to make a very interesting and fascinating little 2D or 3D short documentary about either the centre or one of their creatures. It is also a lifetime opportunity to be able to walk (accompanied by a guide) with cheetahs through the indigenous Tsitsikamma forest, spend some time with them and share their story with the world. 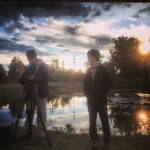 Beyond Borders Film School will help you on site with more details. Situated 10km away from us, Nature’s Valley is next to a beautiful lagoon on the Indian Ocean, enfolded with mountainous forest with rich flora and fauna and a birds watchers paradise. There are plenty of scenic walks and you will be revitalized and inspired within this true garden on the Garden Route. The Knysna Turaco is plentiful in the forest as well as Cape Bushbucks and bush pigs. This Garden of Eden with its kilometers long beaches is an incredible niche for remarkable stories and a great place to get stunning landscape and time lapse shots. 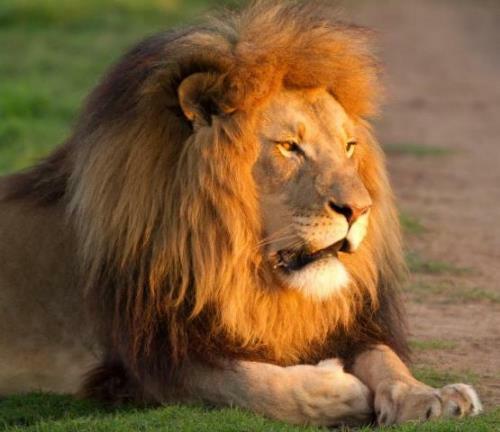 Jukani is a big cat sanctuary in the process of being relocated from Mossel Bay to The Crags. The relocation will be completed by end of June 2013. This means that less than 10km away from us we will very soon have a sanctuary with more than 120 predators such as leopard, black panther, Tawny lion, White tiger, Bengal tiger, Siberian tiger, wild dog, spotted hyena, brown hyena, caracal, serval, jaguar, puma (or also called mountain lion), cheetah, zorilla and honey badger. This is an incredible opportunity for short films about small and big predators where you will be accompanied by a guide at all time and therefore safe among all these teeth and claws. Time to wrap up your footage and give it a professional look in our edit suite. – Introduction to Mac and Final Cut Pro editing software. – Introduction to 3D editing – 3D monitors and 3D Televisions. – Cutting all the hours of footage you have down to three minutes! This is the most difficult part of an editor’s life – choosing the best of the best! As always our professional 3D video-editor will be on site to help and advise you. – Voice-over narration. You can either record your own voice for the narration of your documentary or you can use one of your fellow student’s or lecturer’s. – 3D editing for the students who chose to make their three minutes film in 3D. – With the guidance of our on site professional 3D video-editor you will learn how to horizontally and vertically converge your selected footage. – Introduction to color grading and possibility to color grade your documentary if you wish to and if you have enough time in your hands. – Laying down voice-over narration, royalty free songs and ambient sounds. We have a library of thousands of royalty free songs for you to use. – Finalizing your documentary – making it broadcast safe and exporting it on your customized menu DVD. – Screening – On the last evening we organize a screening where we watch each student’s three-minute documentary on a big TV Screen. And if it is a 3D documentary we all put our 3D glasses on and we enjoy the experience! Your accommodation whilst at the 3D Wildlife Academy is at Ingwe Forest Lodge. The lodge is easily accessible and in a pristine indigenous forest setting in The Crags 14km’s east of Plettenberg Bay on a privately owned farm of 200 hectares. The accommodation comprises of two dormitories with nearby ablutions, a forest cottage with 8 bedrooms, 2 bathrooms along with a kitchenette with basic self catering facilities and a lounge. The communal areas on the farm consist of a large wooden boma, swimming pool, BBQ area and a sports field. The farm has had game introduced and is a haven for plant, bird and animal life. There a massive fields which are great for camera practice and developing an eye for picture. 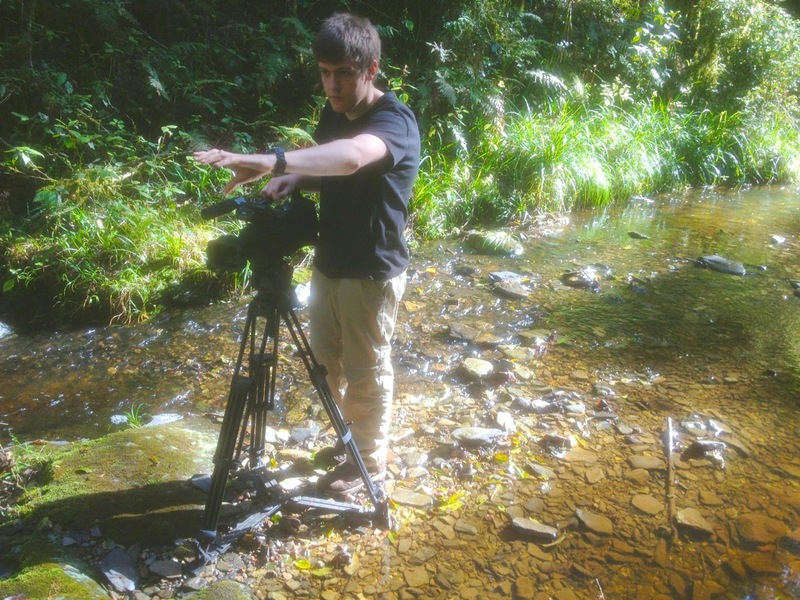 Our 3D Wildlife Film School is situated in the heart of the Tsitsikamma Forest, on the Garden Route of South Africa. Our physical address is in The Crags (+/- 20km or 5 miles East of Plettenberg Bay) where we are neighboring with Monkeyland, Birds of Eden, Elephant Sanctuary, Tenikwa Wildlife Awareness Centre and Jukani Predator Park (busy relocating from Mossel Bay to The Crags). 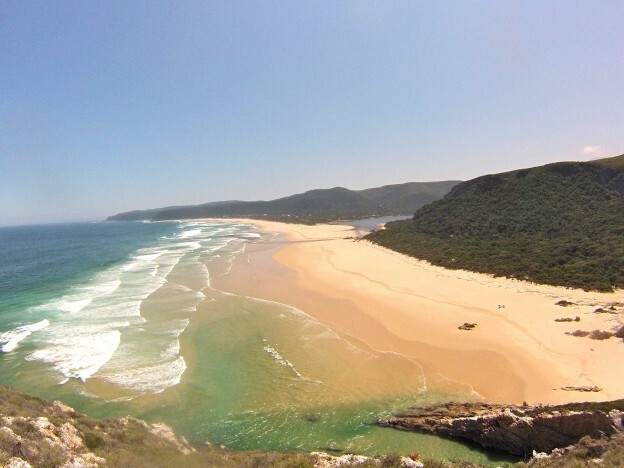 We are also very close to many nature reserves such as Nature’s Valley, Storms River Mouth, Tsitsikamma National Park and Plettenberg Bay Game Reserve to name a few. 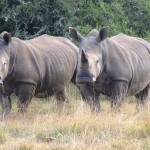 Our area is one of the most beautiful places in South Africa with pristine beaches and untouched forests and riverbeds. On their last day, students can either enjoy our swimming pool or/and our forest Spa with Jacuzzi and sauna (massages can also be organized), enjoy the peace of the Tsitsikamma forest in front of their bedroom. Students can also enjoy our neighbouring wineries and sip on a glass of Sauvignon Blanc while admiring the beautiful mountain range that surrounds us. 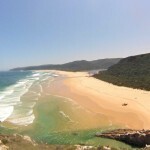 – Accommodation of your choice (luxury tent/cottage/dorm) at Rocky Road Backpacker on the Garden Route of South Africa. – Three meals a day and unlimited tea and coffee. – All transport during the duration of the course as well as the road-transfers from George’s Airport and return (1h30 minute one way). – Access to professional 2D and 3D video and editing equipment. 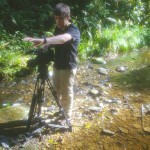 – Lectures and tuition for three students minimum and six maximum by professional 2D and 3D nature filmmakers who will be with you during Pre-Production, Production and Post-Production. – Access to the school’s library of books and DVDs about nature filmmaking. – A certificate of completion of the course. – A DVD of your own broadcast-safe three minutes nature documentary made with Beyond Borders Film School.